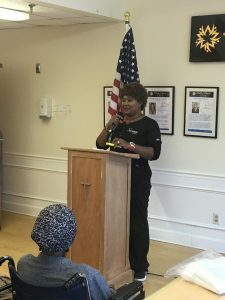 Once again, Signature HealthCARE of Waterford residents and stakeholders had the joy to participate in our National Day of Prayer. We kicked off our special service with the pledge of allegiance recited by Don Pridemore and facility engineer. 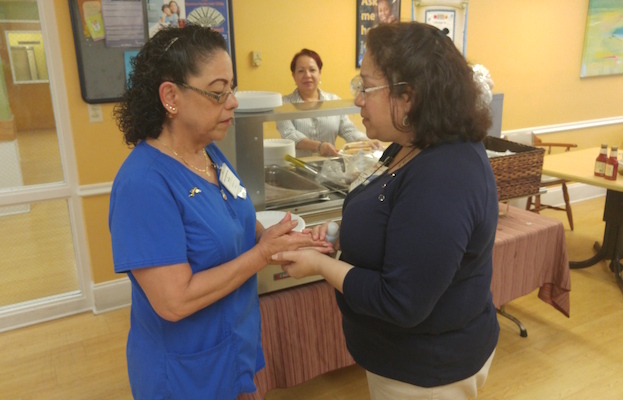 Following the pledge, our nurse Rose, and Wilma from activities prayed in their native language of French and Filipino. Luis, one of our faithful volunteers, prayed in Spanish. 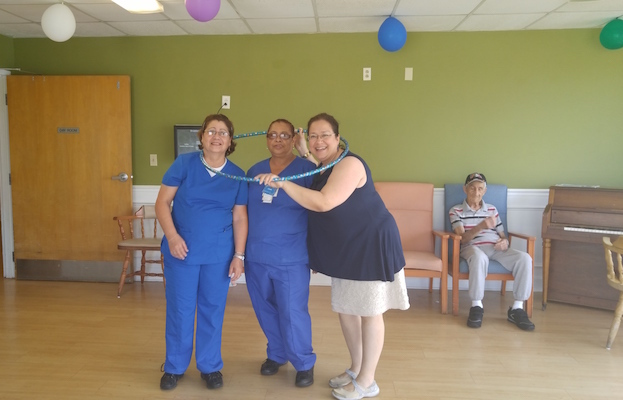 Signature Healthcare Center of Waterford celebrated National CNA week June 13th through June 17th. Monday opened up with a breakfast for all the CNAs, from those on the midnight shift all the way to those on the morning shift. 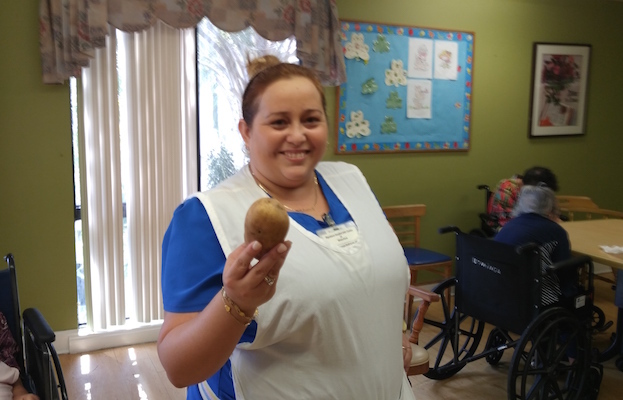 The remainder of the week was marked with delicious luncheons each day, followed by afternoon games and activities for our CNAs on every floor. A winner for each floor was chosen and announced for each activity! 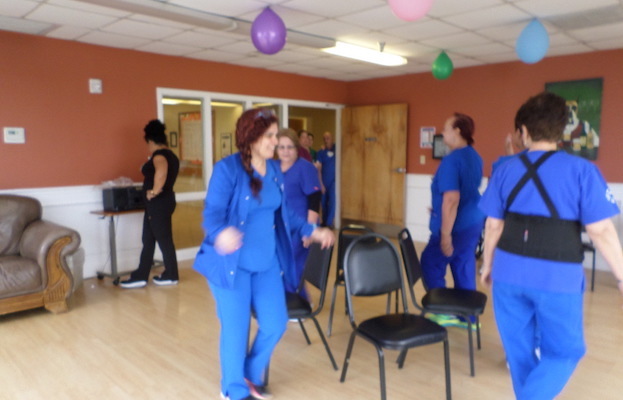 Activities included musical chairs, hula hooping, limbo dancing, and hot potato. 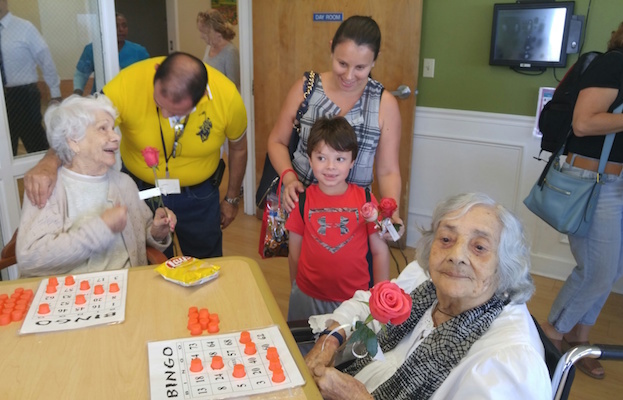 The events culminated on Friday with an ice-cream social event where raffles were drawn and prizes were handed out. Additionally, the spirituality department handed out 104 coffee mugs filled with spiritual and edible goodies. 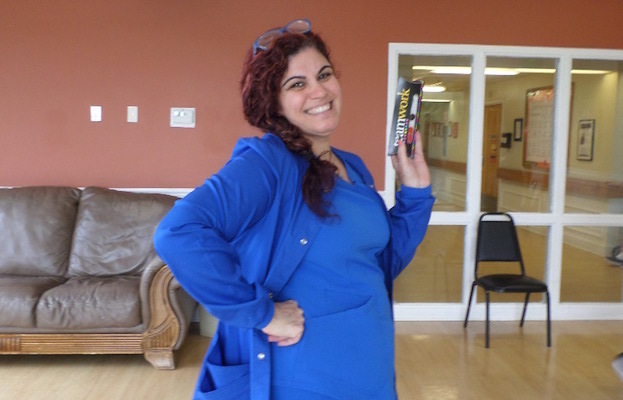 We want to bless out CNAs abundantly. The chaplain was on hand to bless the many hands that work in the center so that they might bring quality healthcare to all of our patients and residents. 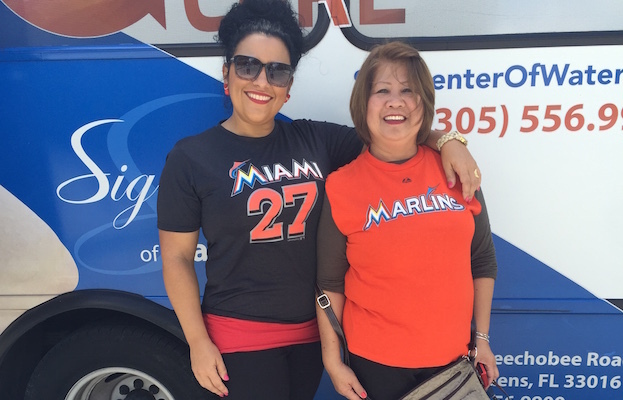 On Wednesday, June 22, 2016, Signature Healthcare of Waterford Center took five of its senior male patients out to the ballpark in downtown Miami to watch the Florida Marlins play against the Atlanta Braves. 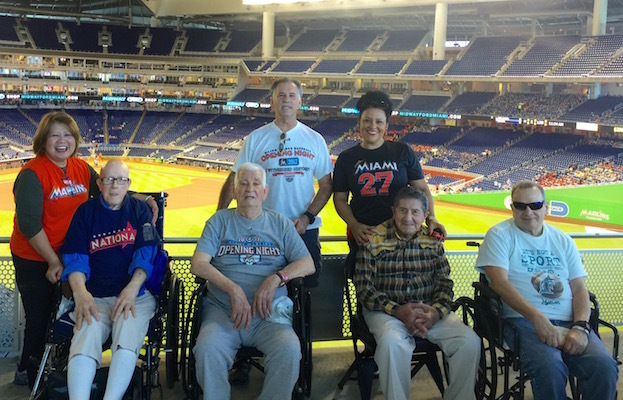 Everyone was eager to arrive, and once inside the park the residents even enjoyed a delicious lunch while taking in the game. 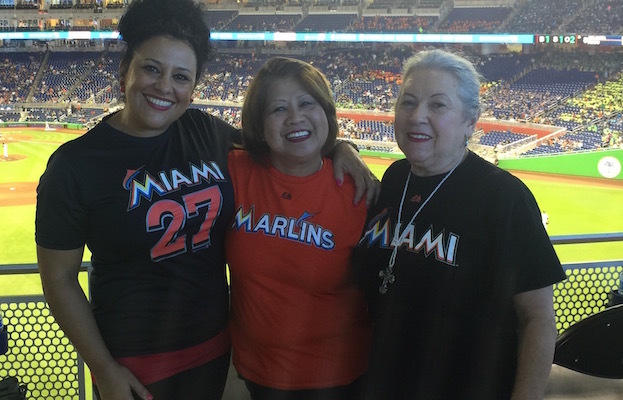 “One, two, three strikes!, He’s out!” exclaimed Lucio, one of our residents, when he witnessed the end of the game and cheer on the Marlins who won! 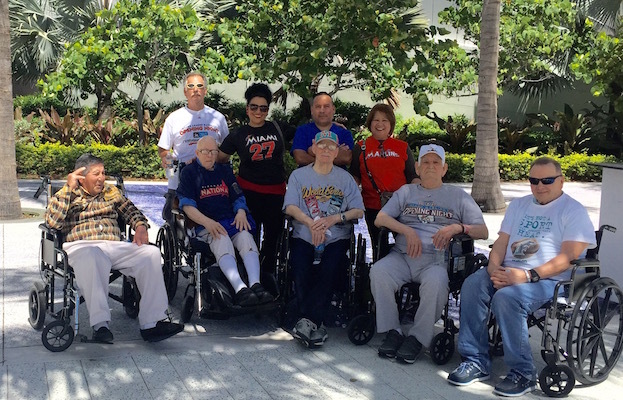 The field trips to parks, malls, and other venues are part of the center’s activities to give the residents a chance to enjoy life outside the center. A future trip to the mall and a museum is forthcoming. 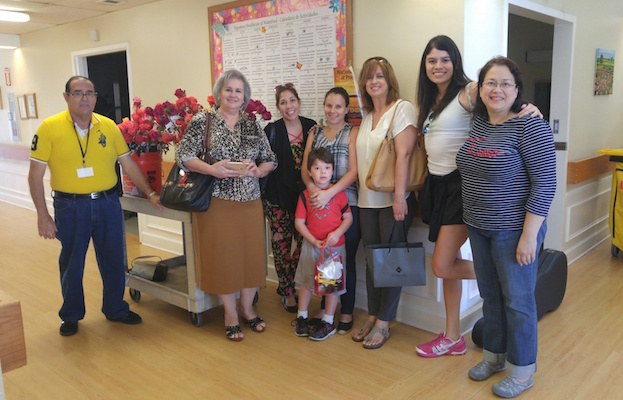 On Saturday, May 7, 2016, the Waterford center celebrated Mother’s Day in a special way, by bringing fresh cut flowers and musical serenades to its female patients on each floor. The center brings this program annually through the ministry of the Women’s Emmaus Team from St. Patrick Church. 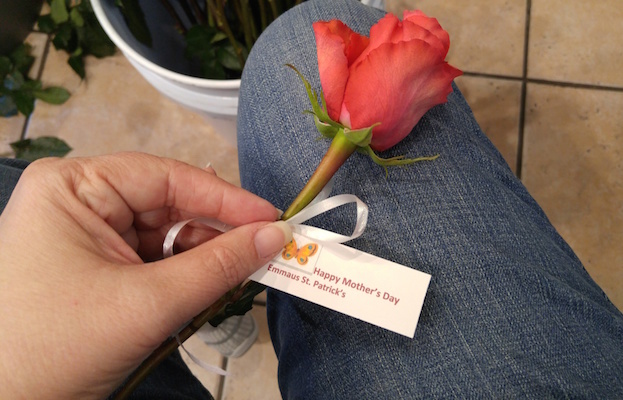 They offer this program on the Saturday before Mother’s Day every year. 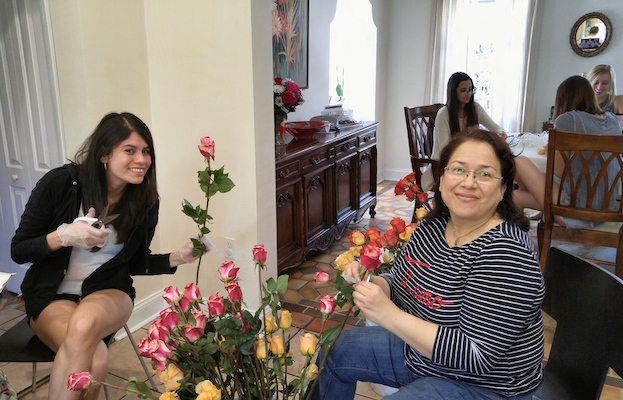 A dozen women volunteers start the day by preparing and arranging 275 Roses – labeled with special labels and carrying a message and ribbons. 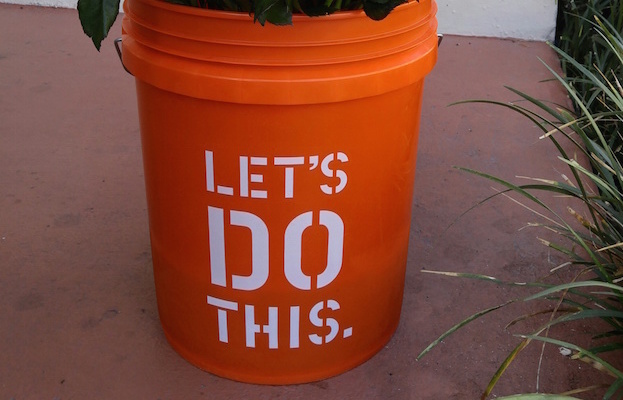 They’re assembled in buckets for each nursing home and then passed out to all the female patients. 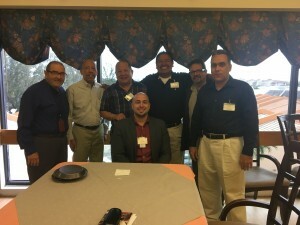 The project which began in 2007 as a simple idea generated by Chaplain Maria Meneses, (also of Emmaus). It was intended to honor her late mother and grandmother who passed to eternal life in 1999 and 1986 respectively. 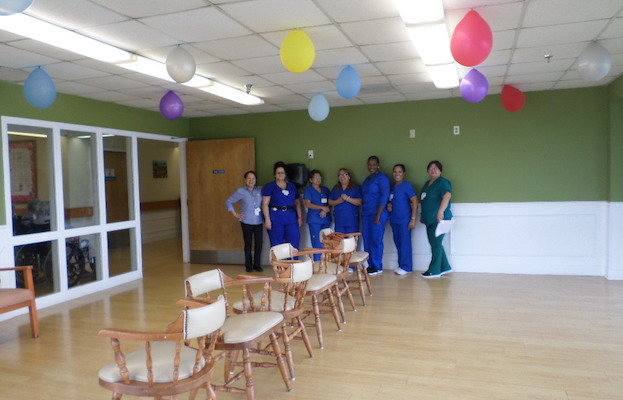 The concept of bringing joy and a smile in such a simple way to all female patients in a nursing home has grown to the present day project. 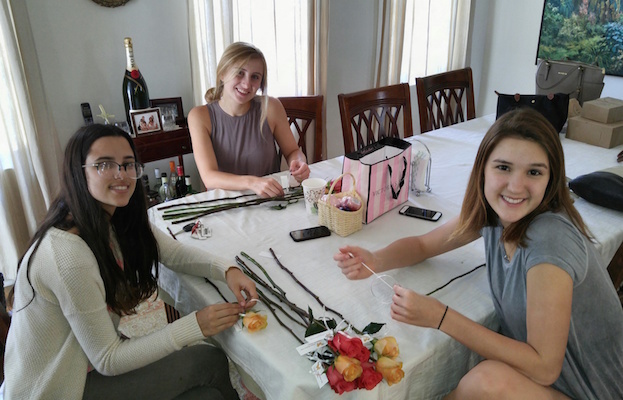 The Emmaus women’s team distributes the designated stems to over three nursing homes in the local Miami area. 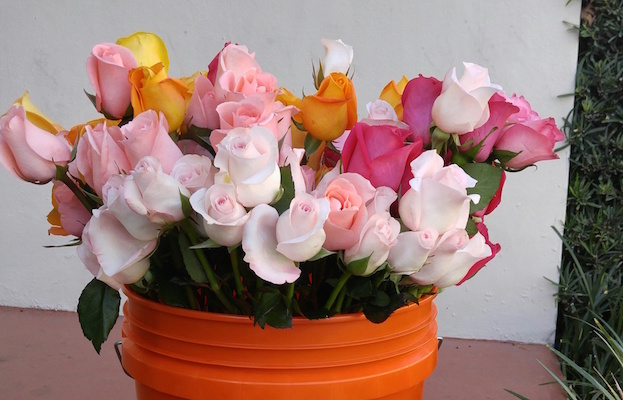 Some 400 flowers are distributed each year. Several of the Emmaus women have been involved. 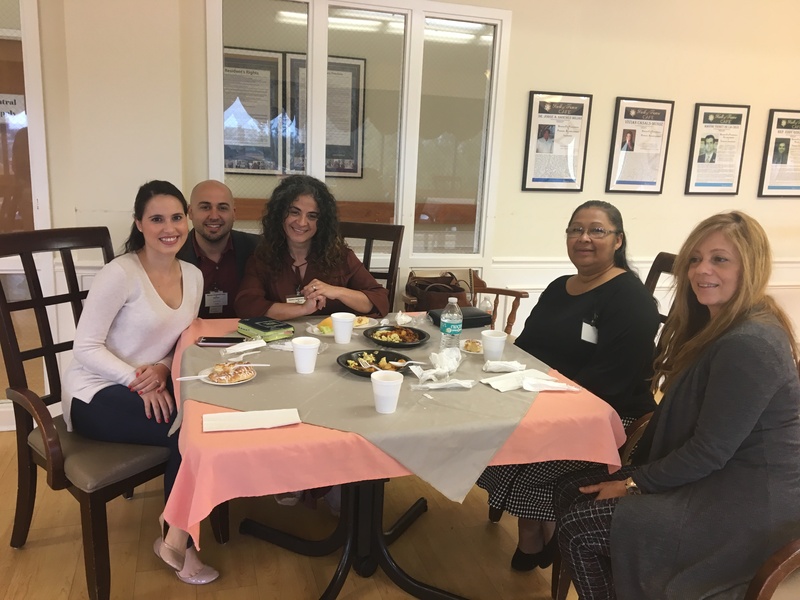 This year, Chaplain Maria encountered the added surprise of having many of the new recruits sign up this special project. 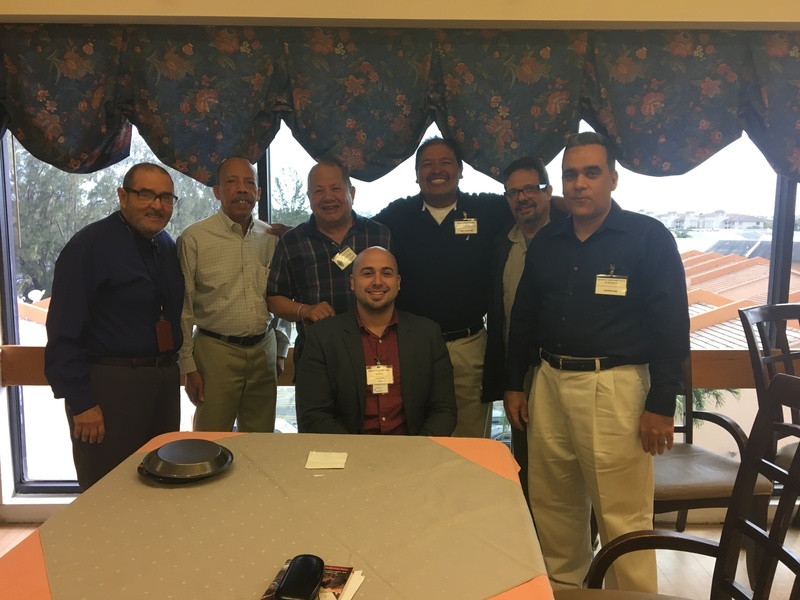 “What a great introduction to the topic of corporal works of mercy in the year of Mercy as designated by Pope Francis, and the Holy See,” explained the chaplain at the home of Adriana. 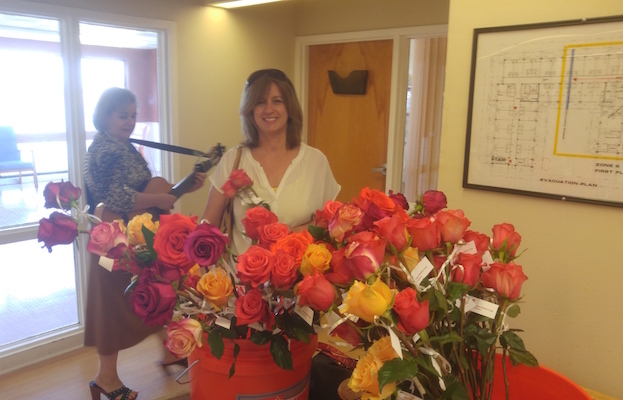 Following the inception of the project, the beautiful roses are donated each year by a special sponsor: Vicky Campos, of Spring Always Fresh Cut flowers. 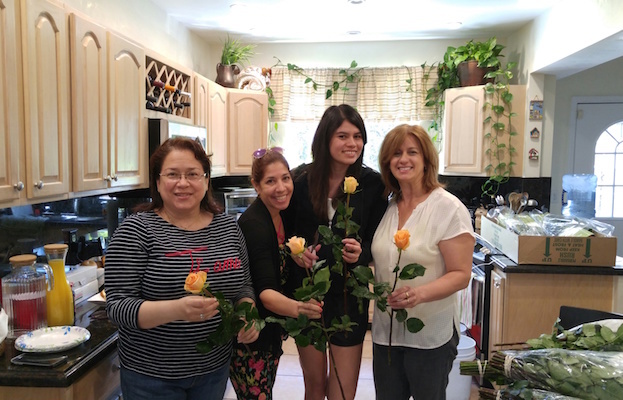 These fresh cut roses are imported from their native country of Colombia, which Vicky coordinates for the Emmaus sisters as a dedication to our Blessed Mother Mary in the month of May. 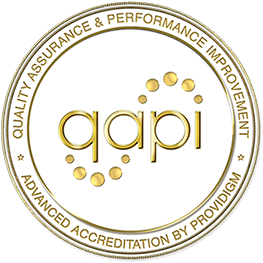 Each group of women who participate bring their spirituality to the project, and the overall team assembles into groups of three or more women that divide the task among each other in visiting each of the selected nursing homes. 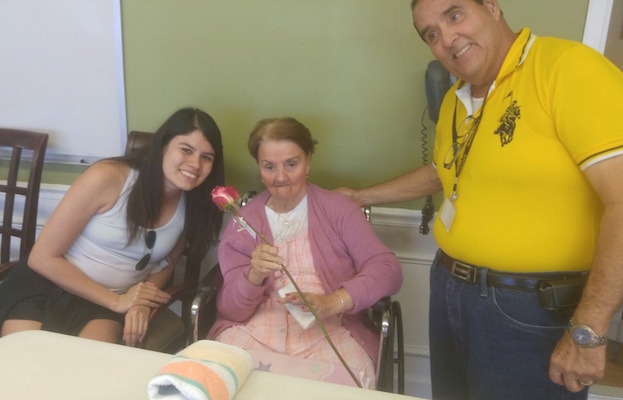 This year the distribution of flowers at Signature Healthcare brought with it the voice and guitar playing of musician Mirtha de la Torre. Chaplain Maria continues to engage this composer, singer, songwriter, and musician who is loved by all! 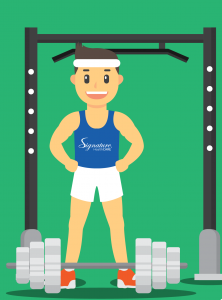 On behalf of Signature healthcare of Waterford, we want to wish every mother a very Happy Mother’s Day, and a blessed month of May in which we honor Mary, the blessed mother of Christ. 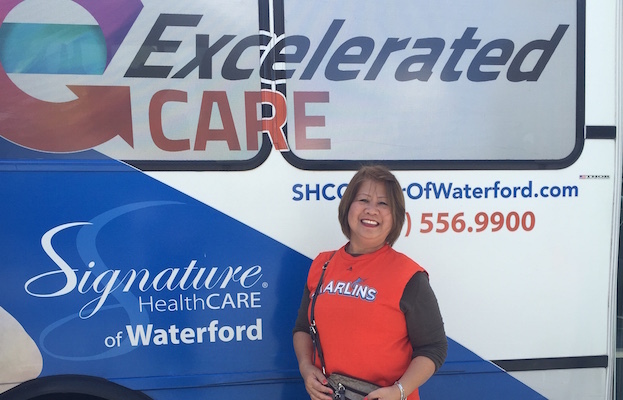 May she continue to bless our residents and patients and all of the family members that support their loved ones as caregivers. May the maternal in all of us be sacred and preserved for the dignity of human life, and may we be blessed with the fruitfulness and the formation of future generations.